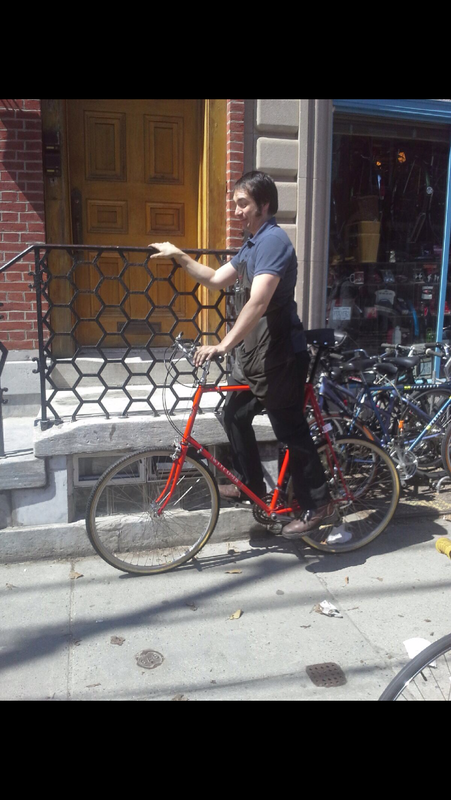 This is the largest size frame we have ever built here at Via Bicycle! 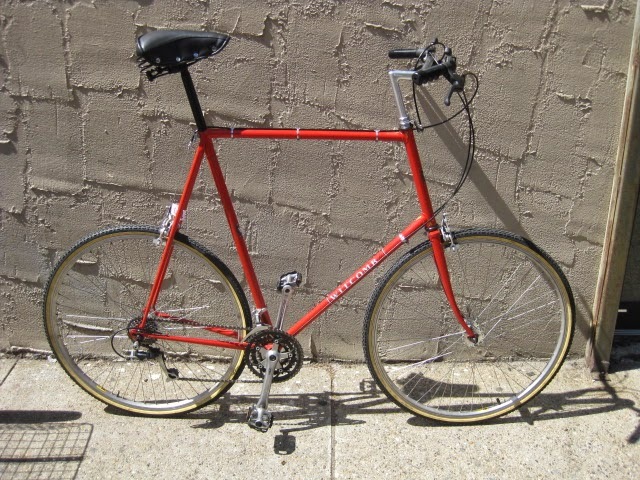 It has a 73CM CTC seat tube! 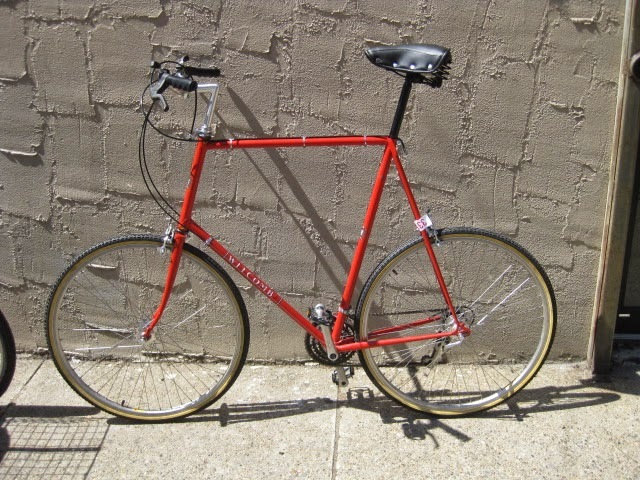 A very tall customer came in looking for a bike, and we had one that fit the bill. 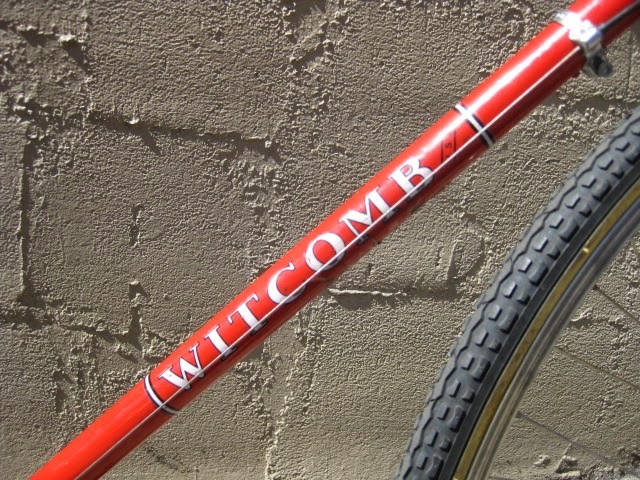 It was made by the Witcomb USA shop in Connecticut. 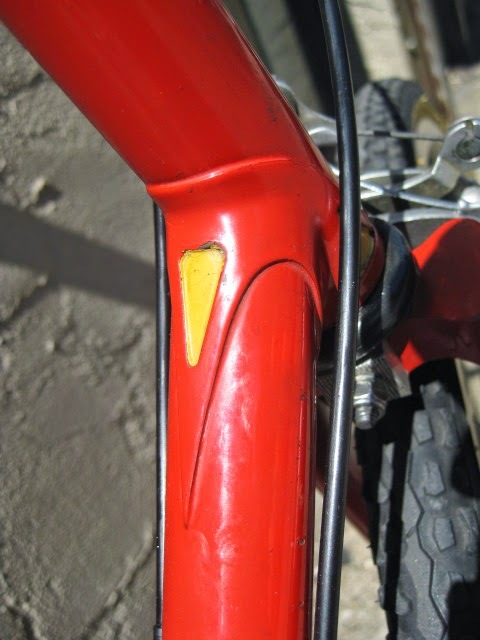 I estimate production to be in the mid to late 1970’s as the company was finished by the 80’s. 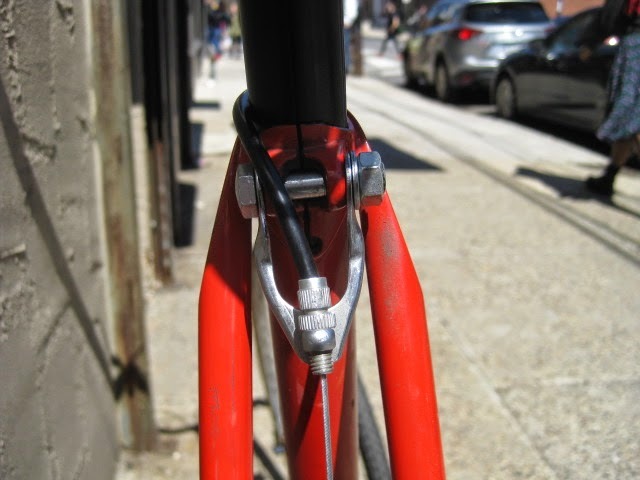 Many current master builders worked there including Chris Chance, Richard Sachs, and J.P. Weigle. 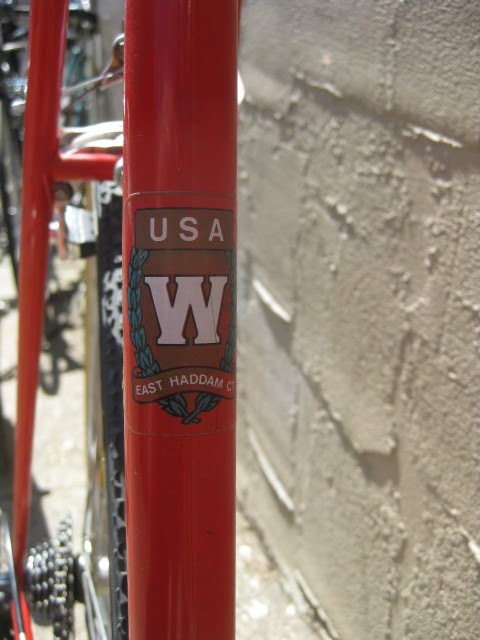 Here is a link about the marque via Classic Rendezvous Witcomb USA. 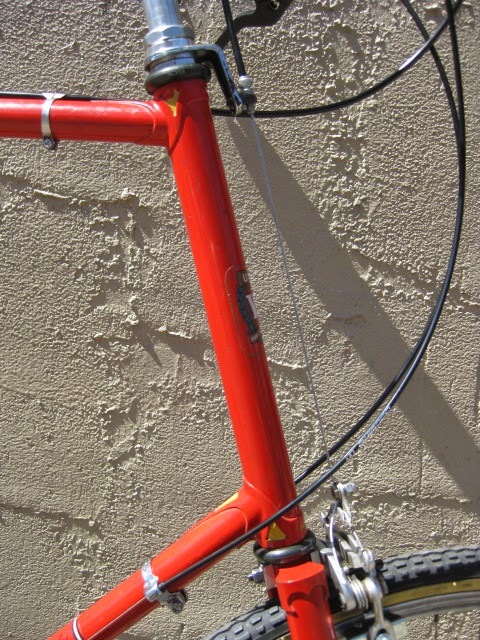 I wonder if any of them recall this frame being built / maybe one of them built it? 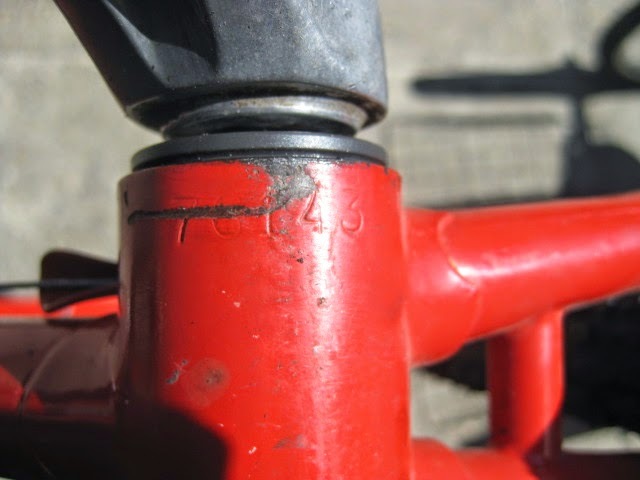 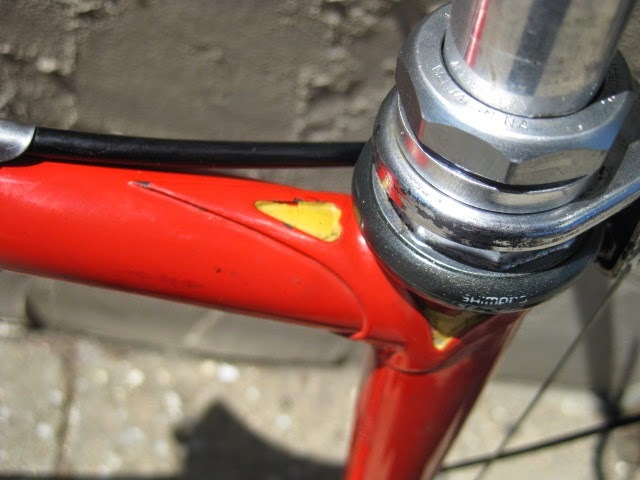 Suspect this built out of thick-walled aircraft tubing, as the seat tube had a definite “stop” for the seatpost, as if it had been reamed to size. 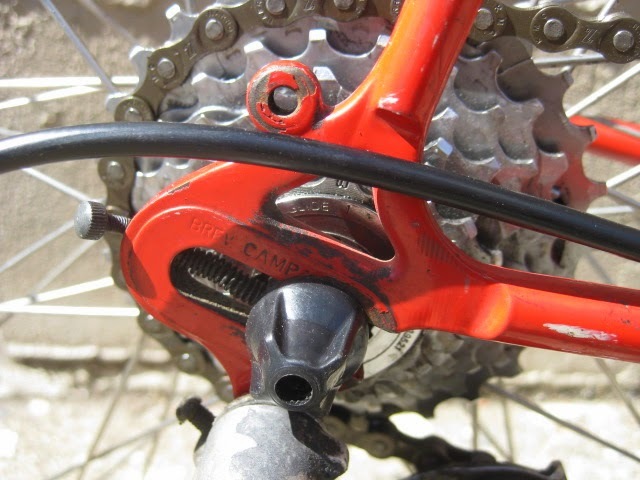 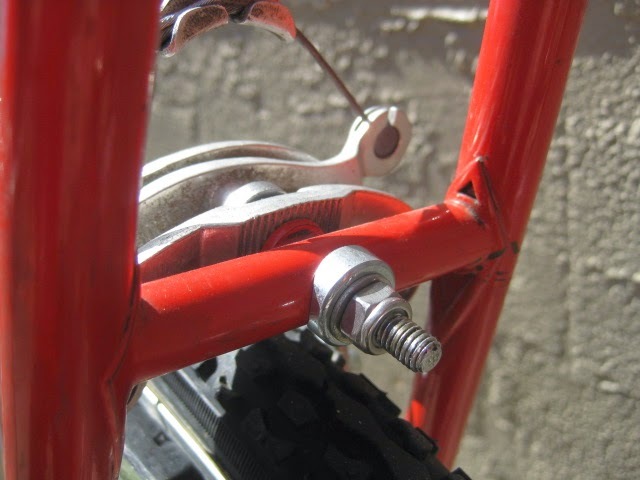 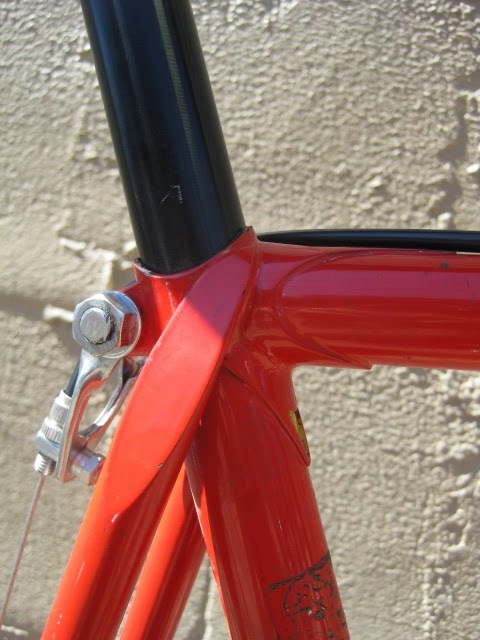 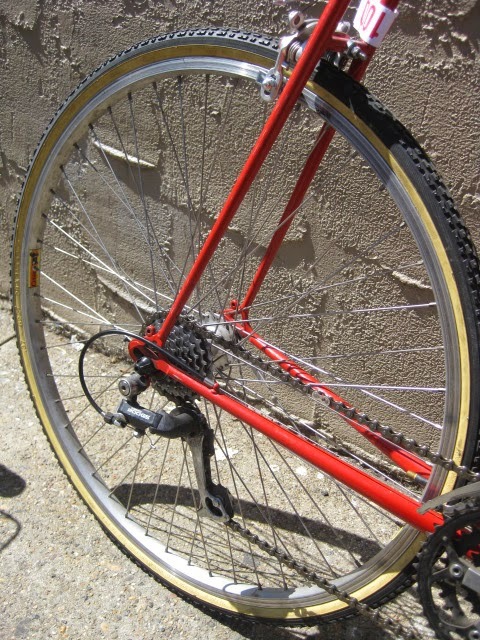 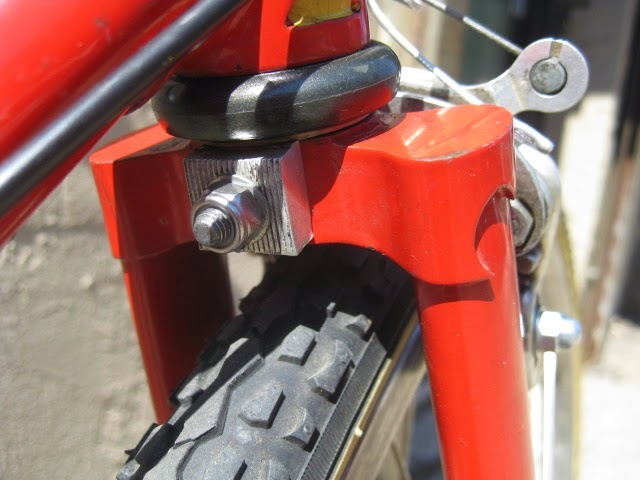 The steerer was internally reinforced with 7/8 tubing to about 5″ below top of steerer.